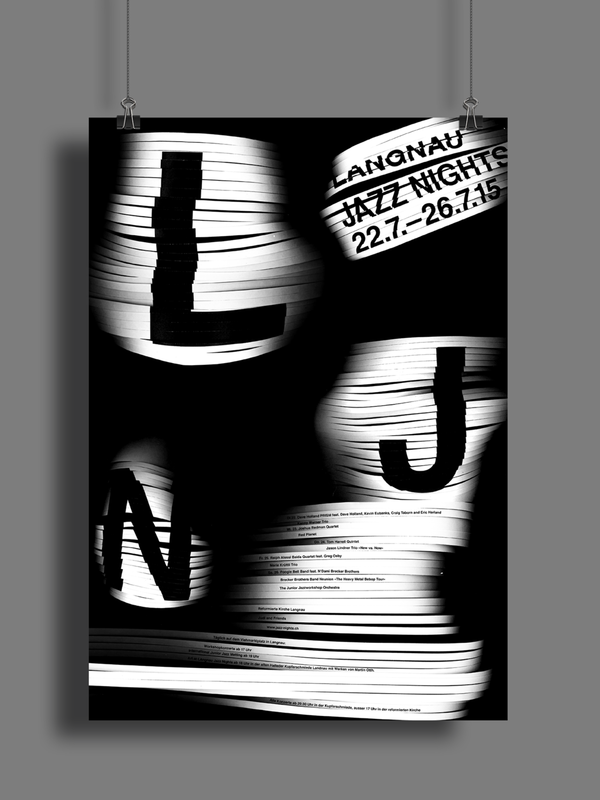 This poster is designed for an internal class competition for the Langnau Jazz Nights. It takes an experimental approach to pictorial typography. Inspired by the ever-moving, improvisational allure of jazz, the cut paper and text visualize the atmosphere of the music as it is performed live.